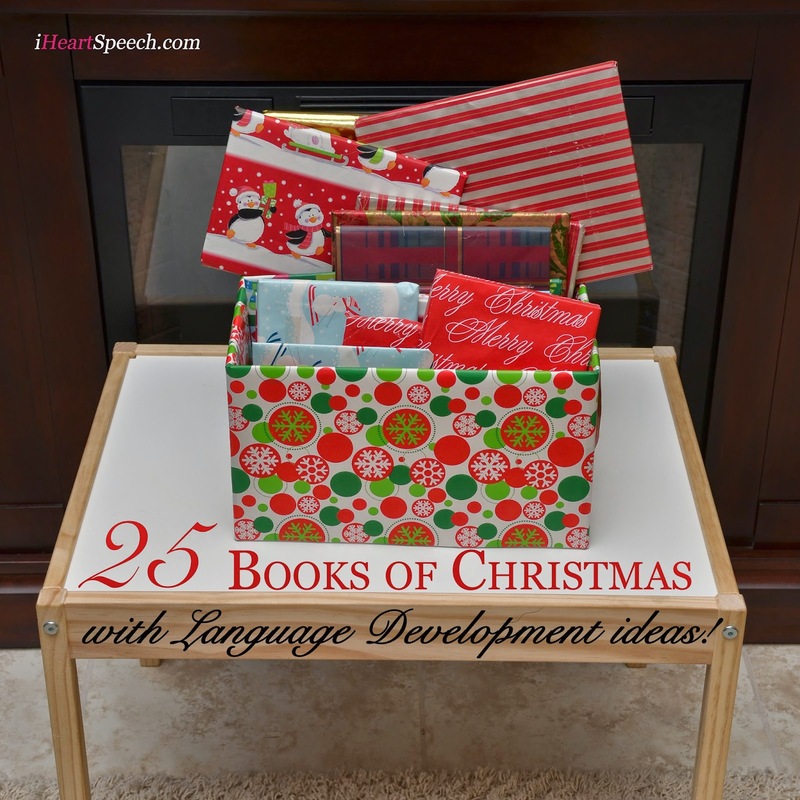 iHeartSpeech.com: 25 Books of Christmas - We're doing it again! Hi! My name is Lauren Barnett. Welcome to my blog where I write about the activities I do with my children and my clients to help develop speech and language skills! 25 Books of Christmas - We're doing it again! Now we are ready to go for the whole month (well, we still need a new bible...not sure what we are going to do for a new bible this year as we just got one, but I do know that I will not be adding it to the box of 25 Books - I am preemptively avoiding a meltdown like last year!). My plan is to have my kids open and read (or listen to!) one book each night and then I'll write about what language or speech activities that we do while we read. I really hope to do a few craft activities as well... we'll see how that goes! Ok, are you ready for this Christmas season? I'm feeling excited about this! Thanks for being a part of the conversation! Identify the Signs Booklet - FREE! I am a certified Speech Language Pathologist and a mom. I partner with families and provide tools, tips and techniques to help their child improve communication. I have been serving students with special needs for more than 12 years. My passion for communication really lies in working with parents, teachers, caregivers and others who are interacting with typically developing children to children who have communication needs. I love to teach and share, to bounce ideas off of others, to learn from parents what makes their child shine and go from there. I hope to share some things that will inspire you as you work with, play with, grow with your child. All information copyright iHeartSpeech.com 2017. Simple theme. Powered by Blogger.